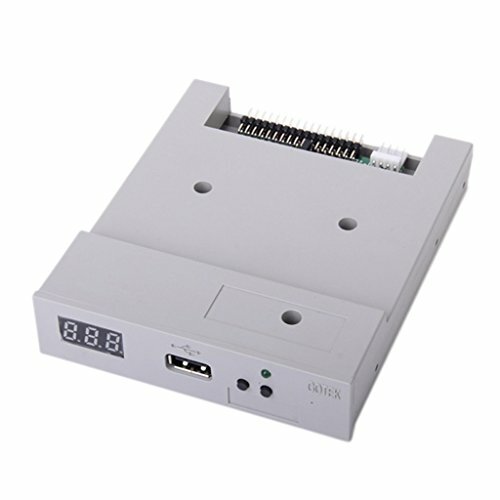 SFR1M44-U100 USB Floppy Drive Emulator is a floppy drive emulator That high security data protection features, easy installation and user-friendliness. This floppy drive emulator is great for industrial equipment control. If you cannot download ,please contact us to send the file . 1.Floppy drive interface to connect to the device through the installation simple. 2.32-bit CPU design, high integration and reliable performance. 2.32-bit CPU design, high integration and reliable performance. If you have any questions about this product by Gotek, contact us by completing and submitting the form below. If you are looking for a specif part number, please include it with your message.